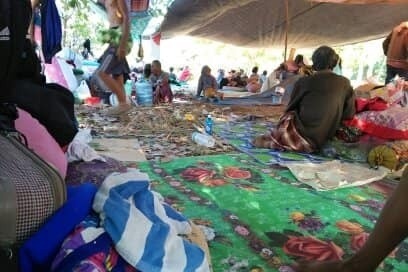 On August 5th, our paradise of the Gili islands and Lombok were hit by a devastating earthquake of 6.9 on the Richter scale, followed by countless aftershocks. Our hearts hurt to share the numerous damages caused by this natural disaster, which left a lot of our Manta Dive families without homes and in need of food and basic supplies. Our Manta Dive home has always been wide open to all of you with the passion for diving, adventure and good deeds and we cherish each one of the stories we’ve shared together. Now, it is time for us to kindly ask you for help to recover the Manta Dive story by donating funds to support our team’s families in Lombok. 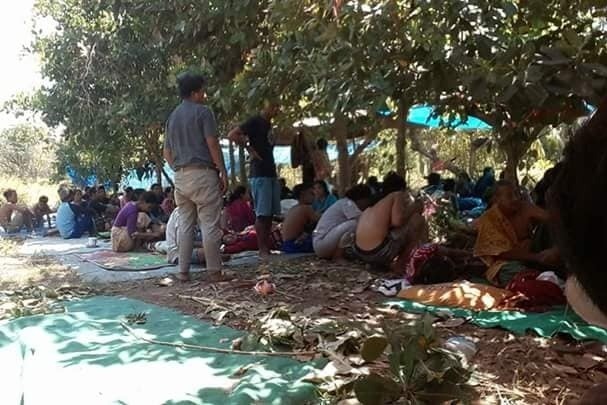 We would like money immediately to provide food, water and shelter. 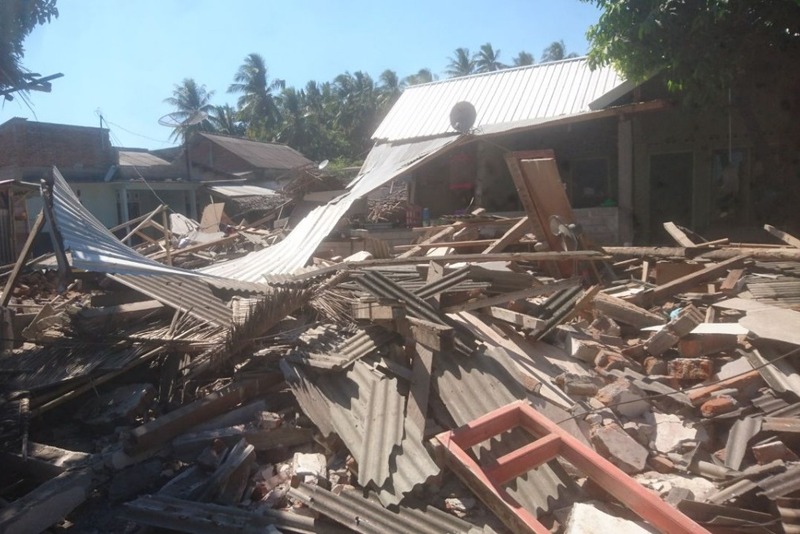 mid to long term we hope to raise enough money to help the team rebuild their homes in Lombok. We would like to thank you so much for the phenomenal support you have shown so far. The way the extended Manta family has all banned together at these times is nothing short of amazing. Please keep supporting us. 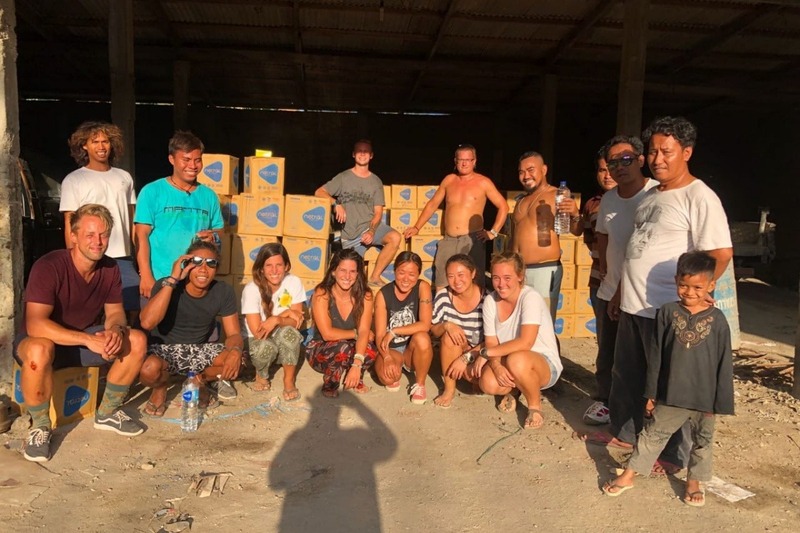 We are still far from the finish line as we are trying to raise funds for almost 200 individual staff members who all either work for Manta Dive, or Manta’s affiliated businesses. Our staff and their families have been so grateful for all the donations received and we now find ourselves in a place where the majority of their immediate humanitarian needs have been met, at least for now. As rainy season is fast approaching, we would like to let you know that we are now focusing on providing more established temporary housing, water and electricity infrastructure, with the ultimate goal of assisting our staff to rebuild to a more permanent future. In Lombok they have already had a few pre-rainy season downpours, but we expect the wet season to start in earnest at some point in October. Therefore, we find ourselves in a race against the clock as we try to provide adequate and dry temporary housing that can be converted to a more permanent solution as soon as possible. 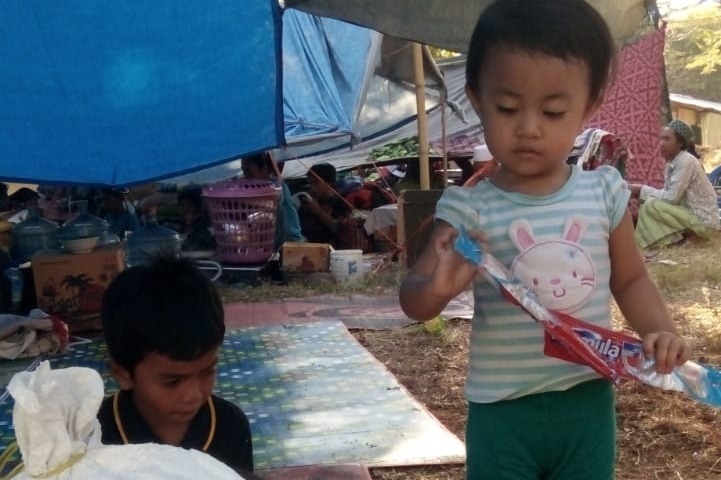 Here is some news from yesterday from our team that is actively helping the local community in Lombok by distributing water, food and basic supplies to the people in need. Please, join our efforts by donating to the cause! Every penny helps us make a difference to those who have lost everything.